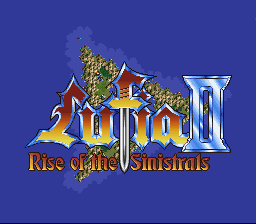 Based off of Frue Lufia, Spekkio Lufia is a battle rebalancing mod that aims to supply more of a challenge while lessening problems in the retail release’s game design. 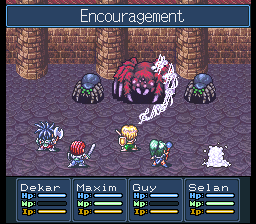 Not only are bosses rebalanced, but certain regular enemies are too. The Ancient Cave also received some tweaks. 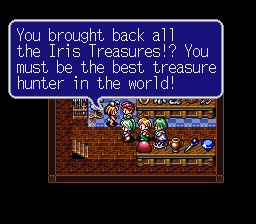 Enemies of later floors drop more useful rewards, you can buy Blue Chest items in Gift Mode—which is available from the first time you launch the game—and Iris Treasures appear more frequently. 1. The Sinistrals in the Fortress of Doom are stronger, more befitting final bosses. 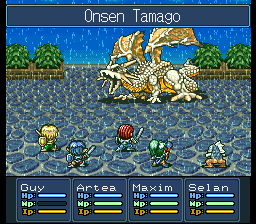 Also starting with the Revenge Ghost the late game bosses are generally revamped. 4. 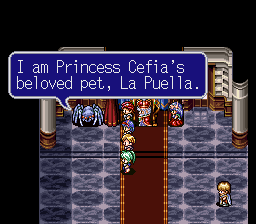 La Puella, the beloved pet giant tarantula of the Princess of Parcelyte. She can be fought anytime after defeating Gades in the Ancient Tower. Do you stand a chance against La Puella and all of her fuzzy friends? Check the Notable_Changes_Spekkio text file for detailed changes. To aid your survival, included are a bestiary, and a list of equipment that have always provided protection against status ailments.